When thinking of sprucing up the kitchen there are some things you need to keep in mind. No matter how many times you sweep, scrub and organize your kitchen still look messy. A lot of times you have too much clutter on your countertops that take up unnecessary space. Place the limited appliances and decorative item on the top to make it look decent and organised. How can we forget about the junk in those drawers? We all know all the random things land nowhere but in the drawers. Use drawer organizers and separators to keep the drawers organized. When decluttering your kitchen, you need to eliminate the duplicates to get that occupied storage back. When talking about storage it is important that we keep the under-sink cabinets clean and tidy by giving up all the stuff you don’t use anymore. 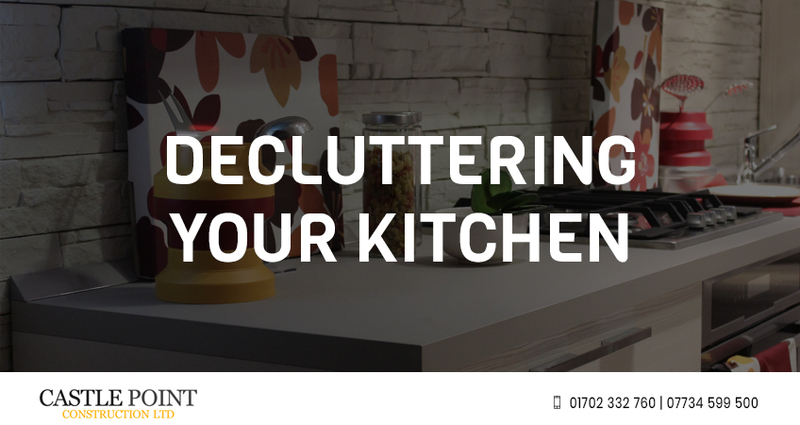 When decluttering your kitchen, it’s time to investigate all the appliances for their working conditions and keep only those devices that are in good working conditions. If you possess appliances that you no more use but are in good working condition, you can sell them earn some pounds from it. With that said, if you are looking for kitchen fitters Essex, Castle Point Construction Ltd, as building contractors Essex, are here to serve you. We pride to serve home extensions, loft conversions, wall rebuilds, home improvements, bathrooms and kitchen installation. If you wish to know more about loft conversions, driveway repairs or bungalow extensions cost, we are just one call away. Contact us today and get a free quote.